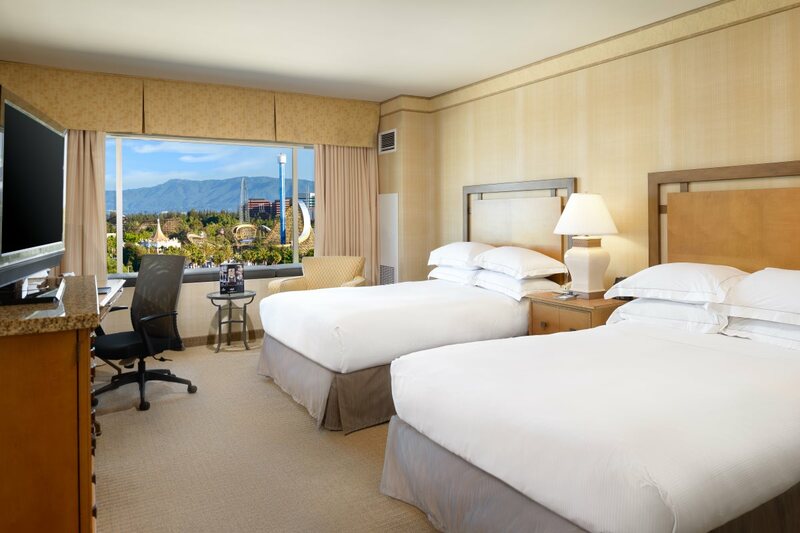 Admire unique views of California’s Great America Theme Park from this chic room with two double beds and a marble bathroom. 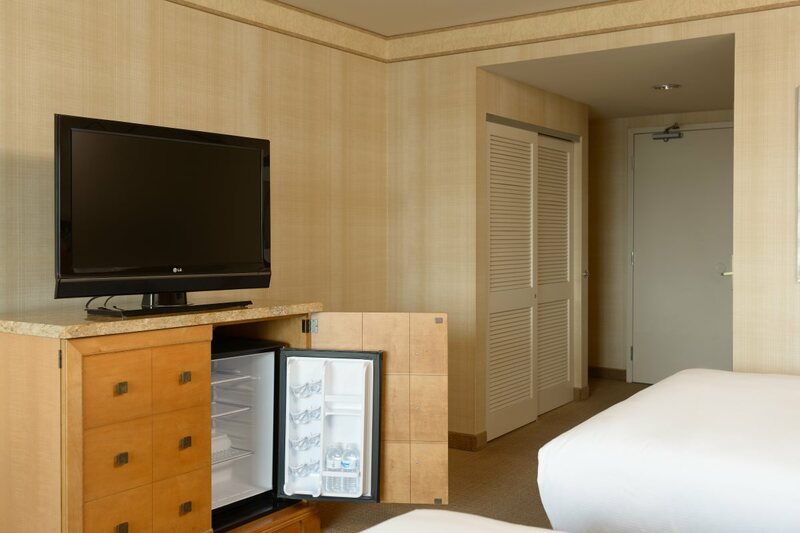 Watch movies on the 37-inch HDTV or get to work at the desk with ergonomic chair and complimnetray WiFi access. 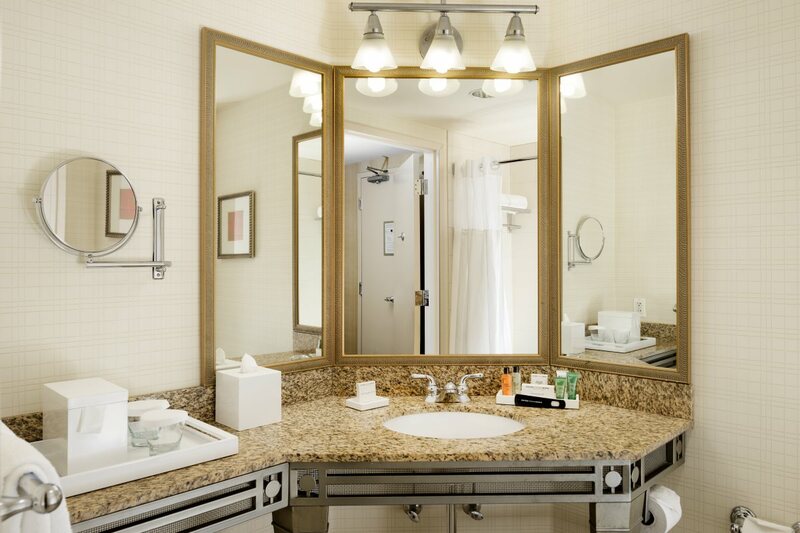 Additional features include a Hilton alarm clock radio, refrigerator, a coffeemaker with complimentary coffee and indulgent bath amenities. 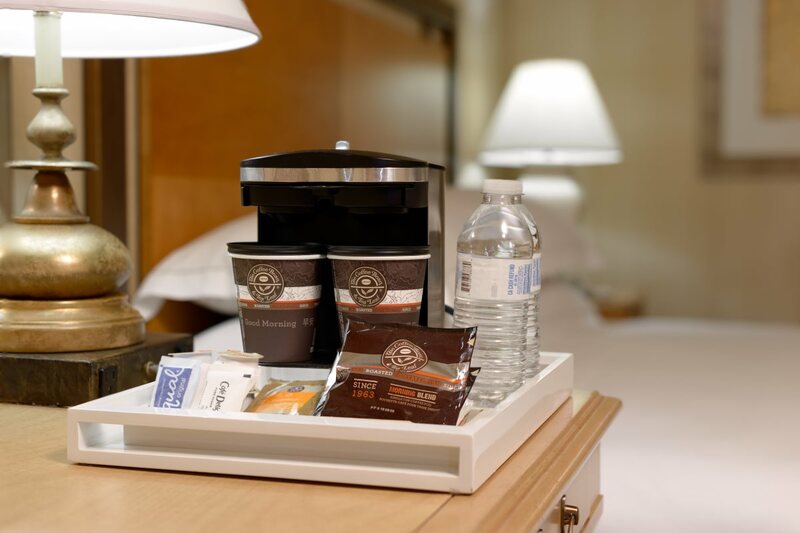 This guest room includes our Hilton Serenity bed with allergen-free down comforter and pillows, elegantly striped 250-thread count sheets and duvet cover, plus a mattress set custom designed for added support and comfort. Unwind in style with the comfy chair and ottoman available in this room.